Property settlement – What are your options? It is always in the best interests of all parties involved in property settlement disputes, particularly those disputes which also involve parenting matters, to settle such matters in an amicable manner. This is always the goal we have for our Clients at Advance Family Law, that is, to assist clients reach an amicable agreement as soon as practicably possible. Court proceedings are generally initiated as a last resort. Court proceedings can be a long and drawn out process and have high emotional and monetary costs, a process in which the parties have no control. That is not to say that Court proceedings do not have their place. It is important to note that there are some matters that require Court proceedings, for instance matters where an Order may be made to preserve the property pool due to risk of disposal of a particular asset or spousal maintenance where one party is unable to financially support themselves. Further, despite the best intentions of one party to settle matters on an amicable basis, if the other party does not cooperate in such process, Court proceedings are necessary. In these circumstances, the Court provides a framework in which to settle matters, including making Orders for both parties to exchange particular disclosure documentation, attend to obtaining particular Valuations and attending Mediation in an attempt to settle matters. Whilst Court may seem to be a daunting process, as mentioned, it has its place in the settlement process and parties should be aware that only a small minority of matters that are filed in Court are determined at Trial, considering the high rate of settlements. Initially, attempts should be made to settle matters by negotiation, either directly between parties or with the assistance of Solicitors. When Solicitors are involved, such negotiations are usually by way of correspondence. It is important to note that both parties have a duty to provide to the other full and frank disclosure of their financial position and without the cooperation of both parties, it is difficult, if not impossible to reach an amicable settlement. In addition to disclosure, it may also be necessary for both parties to engage a Valuer should the value of any asset not be agreed upon. Negotiations are an opportunity to gauge where each party is at with respect to their positions. Should an agreement be reached by way of negotiation, it can be formalised by way of Consent Order, to be approved by the Family Court of Australia, or by way of a Binding Financial Agreement. Should negotiation whether it be by correspondence or otherwise, fail to progress matters, it is usual for parties to arrange a formal Mediation whereby the parties and their Solicitors are able to discuss matters with a view to finally settling matters, with the assistance of an independent person to facilitate the Mediation, the Mediator. Mediation is usually only useful should both parties cooperate and comply with their respective duties of disclosure and agree to obtaining any necessary Valuations. Parties to Court proceedings are usually directed to attend Mediation after the first Court date should they not have already done so. Again, should an agreement be reached at Mediation, it can be formalised by way of a Consent Order, to be approved by the Family Court of Australia, or by way of a Binding Financial Agreement, should the matter not be already before the Court. The above mentioned options are what we would term, the “usual process” in Family Law matters, however, there are two other options which are gaining more popularity in Family Law. The first is Collaborative Law. Collaborative Law is based upon the premise of parties reaching an agreement so as to minimise conflict and maintain a relationship between parties, which is particularly beneficial if Children are also involved. It is a process which involves the parties and their Solicitors working together, with the assistance of other professionals, for instance, Accountants, Financial Advisers and Psychologists in an attempt to reach a workable agreement for all concerned. Such professionals assist in reality testing the parties and providing advice to both parties as to the practicalities of particular proposals. Any agreement reached through such process may be formalised by way of Consent Order or Binding Financial Agreement. The second is Arbitration. Arbitration involves the parties agreeing to appoint an Arbitrator, upon the advices of their Solicitors to determine their property settlement dispute. The parties sign an Arbitration Agreement which outlines how such process will operate and to maintain confidentiality in the process. As in Court proceedings, parties are required to evidence their position by filing particular documents and the Arbitrator who effectively acts as a “Judge” in the matter makes a determination based upon such information. The Arbitrator issues an Award which details their findings and reasons. An Award is binding upon the parties and is enforceable as if it were an Order made by the Court. It is important to be aware that there are options involved for parties to property settlement matters and parties should not initiate Court proceedings without first considering the other available options. 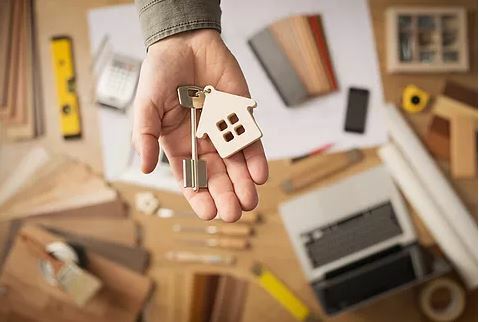 The alternatives to Court are likely to provide a quicker and more cost effective resolution to your property settlement matter, not to mention a more private setting to do so, considering that parties are not having their issues determined by the Court, which is open to the public. We offer a one hour reduced rate initial consultation for $220.00 where we provide preliminary advices as to your property settlement entitlements and assess which process may be the best option to further progress your matter. Should you wish to arrange such appointment, please contact our office on telephone (07) 5679 8016.